One of the biggest developments in recent years in gaming has been the growth of real money online casinos. From traditional casino games to online slots, more and more gamers have enthusiastically taken the casino experience into their homes. However, with the explosion in technology and capability of mobiles and tablets five years ago, it seemed obvious to industry observers that over the coming years the casino experience would move outside of the home and into the pocket of the gamer! But despite this, progress in this area has been slower than predicted with casino companies not quite anticipating the potential and possibilities of mobile casino gaming and real money casino apps. In the last year or so, however, this has changed with online casino companies getting on board with consumer demand and producing better quality online browsers and apps to deliver great casino gaming on the move. There are currently two options when it comes to enjoying the casino experience on your mobile: either by playing on the casino website via your phone or tablet’s browser or by downloading a specific real money casino app. Iphone users will be well able to find good quality apps to get the full iphone casino experience, with a plethora available to download from iTunes. It is however, much harder to find suitable downloadable apps for android phones. Most gamers with an android phone will look for casino apps in the Google Play store – but as things stand Google Play does not make gambling apps available for download. Therefore, if you want the android casino experience you will need to log onto the actual casino websites themselves and download the app from there. But truth be told there aren’t a huge number that offer this service. What are the best real money casino apps? Visit a market comparison website and you will see what many of the well-known online casino compaines are offering when it comes to the mobile gaming experience. The assets released in recent times by the likes of Leo Vegas, Sky Vegas, 888 Casino, Betway and others have really improved the mobile app experience for gambling gamers. But this does not go for all companies and gamers need to be careful which providers they use. There are still many online casino companies that have yet to really grasp hold of the nettle. So it’s important that gamers take their time and investigate what’s good and what’s not. Can mobile live up to to the challenge? One of the main reasons that the mobile offer has taken time to take off is its lack of range and choice in comparison to its online brother. The number of games offered on a mobile casino platform compared to an online casino is a fraction – for example even the well-regarded Leo Vegas mobile platform has over one hundred fewer games available to choose from. There are also issues over special bonuses with mobile casinos. On an online casino platform special bonuses (e.g. free spins) are one of the most popular features. Real money casino apps simply do not have the capability as things stand to offer the same. The only bonuses available are welcome bonuses, which are awarded when you have downloaded the app onto your phone or tablet. However, despite the issue over special bonuses, mobile gaming is beginning to build up its capability and match many of the features offered by its illustrious online partner. For example one of the features that attracts thousands of gamers to online casinos ahead of the real-life version is the opportunity to play non-wager games before you join up – in other words for free. 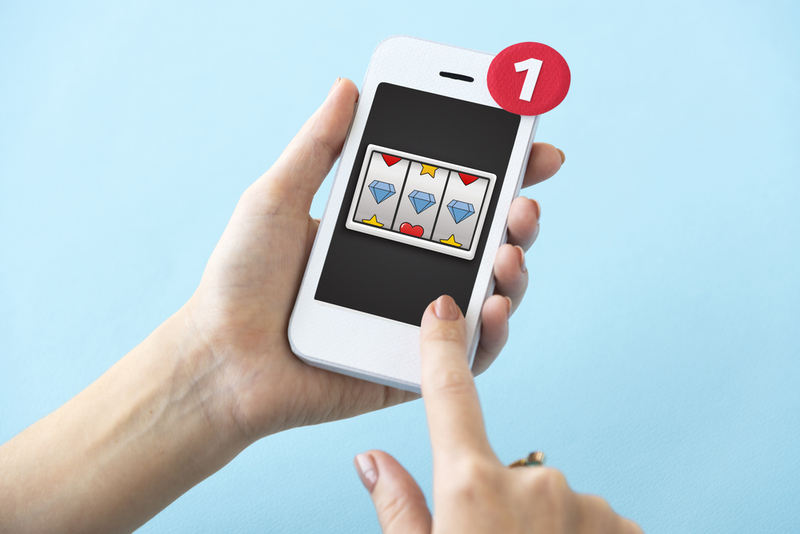 Mobile casinos are now offering the same and this is attracting in many gamers.